What’s the Price for the 2019 Nissan Rogue S FWD? How Many MPG Does the 2019 Nissan Rogue S FWD Get? What’s New for the 2019 Nissan Rogue S FWD? The 2019 Nissan Rogue S is a tech-savvy SUV with the latest in interior amenities. 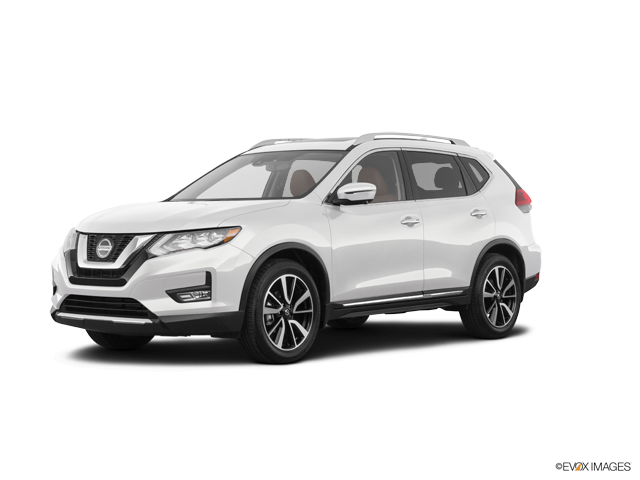 Nissan’s Rogue belongs to one of the most competitive classes of vehicles (the SUV class) but it stands out for its spacious interior, its generous cargo space, and an excellent fuel economy among its competitors, especially if you get the hybrid version. This year’s Rogue features Nissan’s Intelligent Mobility system, which provides you with a variety of driver-assist features at every trim level. The base model comes with some standard safety amenities, while others are optional. The 2019 Rogue inventory includes three trim levels that are available to run on both standard gasoline or with a hybrid engine. The S FWD is the base model. With this trim level, you’ll get a choice of nine exterior paint colors. This car offers a number of interior convenience amenities, including an AM/FM radio, a custom volume control, and a three-month subscription to satellite radio. The S also comes with automatic air conditioning and a sound system with four speakers. A tilt-telescopic steering wheel and a multi-way adjustable driver’s seat make it easy to drive the Rogue S with comfort and ease. Other highlights of this trim level include USB ports and a keyless ignition. On the outside, heated side mirrors and a hands-free entry system make the S even more appealing. Rounding out its standard amenities are comfortable cloth seats and a driver’s seat with lumbar support. The driver’s seat moves in six ways for maximal comfort. You have a choice of one standard interior color scheme to match the S’s nine exterior paint color options. The S, like the second-level trim, rides on standard 17-inch wheels. Larger wheels are optional, while full-size 19-inch wheels are standard on only the highest trim level. Safety is not left behind on the S, which has a list of both passive and active safety amenities to keep the driver and passengers safe. Front, side, and overhead airbags deploy to protect occupants from harm in case of a collision or a rollover. Vehicle stability control is standard, as is an emergency braking sensor. Daytime running lights stay on for safety and visibility, while a child seat locking mechanism in the back keeps the youngest travelers safe from harm. The standard engine on the Rogue S is a four-cylinder, 2.5L engine that produces up to 175 LB-FT of torque at 4,000 RPM. It can also reach a maximum of 170 HP at 6,000 RPM, which provides plenty of power for driving up hills and going on off-road adventures. The engine has 16 valves, and you have the option of getting an engine that runs on standard gasoline or one that has a fuel-saving hybrid engine. Both types of engines are matched with a smooth-shifting automatic transmission that has continuously variable technology, or CVT. The engine is paired with front-wheel drive. You can read all about what the Rogue S has to offer, but the only way to experience all its benefits is to take one for a drive yourself. If you want to take the Rogue S for a test drive, or even if you just have questions about the car, don’t hesitate to let us know. We are here to help you understand what this trim level offers as well as help you navigate the car-buying process. Feel free to call or contact us when you decide it’s time to try out the Rogue S yourself.